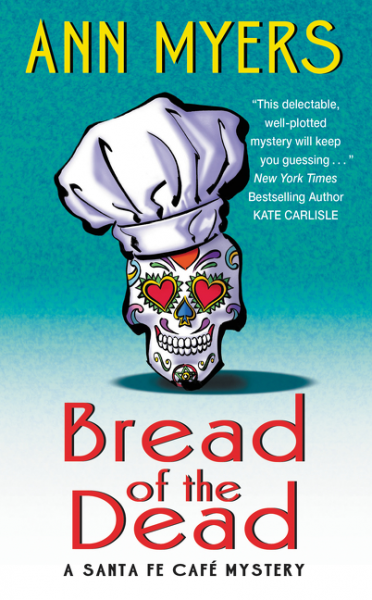 Released Sept. 29, 2015: Bread of the Dead (William Morrow/HarperCollins) by Ann Myers. Although the police deem Victor’s death a suicide, Rita knows something is amiss. To uncover the truth, she teams up with her octogenarian boss, Flori, the town’s most celebrated snoop. The duo begins to sift through long-buried secrets and to take full measure of duplicitous neighbors, but the clock is ticking and their list of suspects is growing ever longer. Just as the clues get hotter than a New Mexican chile, one of their main suspects winds up dead. Rita fears that the killer is dishing out seconds—and her order might be up. Ann Myers lives in Colorado Springs with her husband, cat, and a large supply of New Mexican chiles. You can find Ann’s book at http://www.harpercollins.com/9780062382276/bread-of-the-dead and follow her at https://www.facebook.com/AnnMyers.writer. Dr. Laurie Sperry will be speaking to SinC-Colorado members at our next chapter meeting/event (October 3, 2015). The program description follows. Laurie Sperry has written amicus curaie briefs that have been read by state supreme courts, testified at trials, gone into prisons to do forensic evaluations, and testified at parole board hearings. Many of the cases she’s worked on involve stalking, sexual offending. She will discuss stalking in general. What are the different typologies of stalkers? If your character was a revenge stalker how would he/she act? If he was an incompetent suitor, how would he/she act? What would a stalker do that would suggest he’s likely to engage in violence as opposed to a non violent offender? Bring your questions about how to write a compelling stalker situation. Dr. Laurie Sperry is an Associate Professor in the College of Professional Studies at Regis University. In addition to a PhD, and a degree in Forensic Psychology and Criminology, she is a Board Certified Behavior Analyst-Doctoral Level. She has participated in global outreach and provided services in Australia, Saudi Arabia, Qatar, Jordan, Africa, Saipan, Singapore and has developed a school for children with Autism Spectrum Disorders in Bangalore, India. In 2006 she was added to the Fulbright Scholarship’s Senior Specialist Roster for Autism. She moved to Australia in 2010 and worked at Griffith University in the Department of Arts, Education and Law. Her research focuses on people with ASD who come in contact with the criminal justice system to ensure their humane treatment within the system. She has served as a Special Interest Group Chairwoman at the International Meeting for Autism Research (IMFAR) providing mentoring and leadership in the field of criminality and ASD. She has provided training to secure forensic psychiatric facilities in England and presented at the International Conference for Offenders with Disabilities. She has published numerous articles and was an expert panelist at the American Academy of Psychiatry and Law conference where she spoke on Risk Assessment, Management and ASD. 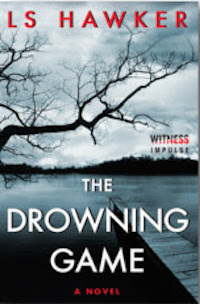 The Drowning Game (HarperCollins Witness Impulse) releases September 22, 2015! But when Petty learns the truth behind her father’s madness—and her own family—the reality is worse than anything she could have imagined. On the road and in over her head, Petty’s fight for her life has just begun. 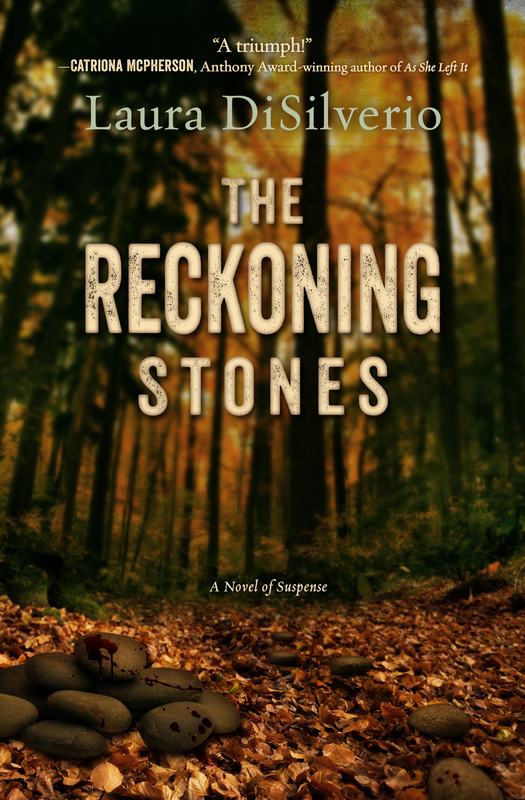 Library Journal calls Laura DiSilverio’s The Reckoning Stones an “outstanding, dark stand-alone” and “an excellent read for Megan Abbott or Kate ­Morton aficionados” (starred review). When fifteen-year-old Mercy Asher accuses her pastor of molesting her, the tight-knit community brands her a liar. She runs away. The night she leaves, someone–her father?–beats Pastor Matt into a coma and leaves his wife for dead. Two decades later, Pastor Matt’s awakening makes national news and Mercy, who has reinvented herself as jewelry designer Iris Dashwood, finds herself losing ground to the painful memories she’s barely kept at bay. Iris has no choice but to return to Lone Pine to confront the man who tore her life apart and recover the truth from a community that protects its own. “Riveting! Powerful, disturbing, and ultimately, inspirational.” — Hank Phillippi Ryan, Agatha, Anthony, Macavity and Mary Higgins Clark award-winning author. Available for pre-order now. On sale everywhere September 8th. Tattered Cover Bookstore on Colfax at 7:00 p.m. This is the launch event for her new thriller, Dark Waters. She will be talking and signing copies. Please visit the Tattered Cover website for more information.